This article is meant to assist you with recovering MS Word Documents and Files that are associated with an Activity or Report. There are two main reasons why documents are lost. First, the document editing process wasn’t followed. In this case, you can recover your document. Second, someone deleted the entire record, In this case extendedReach staff will need to recover the document. If you can’t find your file (or the most updated version of the file) in extendedReach, follow the steps in this article to recover your file. Step 1. Locate the Activity or Report that contains the file. The best way to do this is to check the Case File or Home File tab (rather than “Compliance Tab”). “Case File” shows all versions (i.e. Monthly Report) versus just the most recent version. “Compliance” only shows last compliance report. Use the “Show” button to filter the list of Activities or Reports to show just the ones that are relevant. 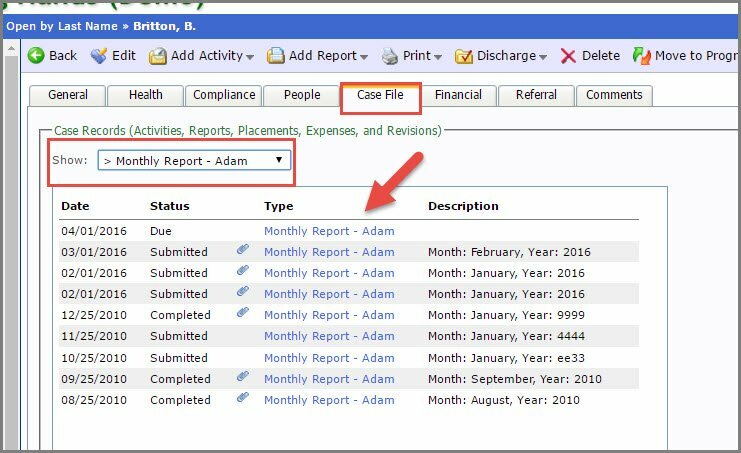 If you can’t find the Activity or Report in the Case File or Home File, the entire record may have been deleted by yourself or another user at your agency. However, we may still be able to recover your file. Please Contact Support. (No need to proceed to the next steps). Step 2. Once you have found the Activity or Report, but it doesn’t contain the file (or recent updates to the file), open it in “Edit Mode” by clicking the “Edit” button. Step 3. 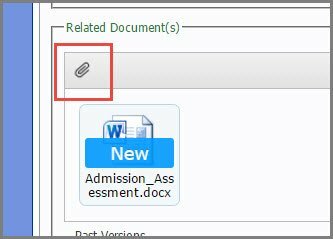 Click the text that reads “Past Versions” that is directly below the file attachments. 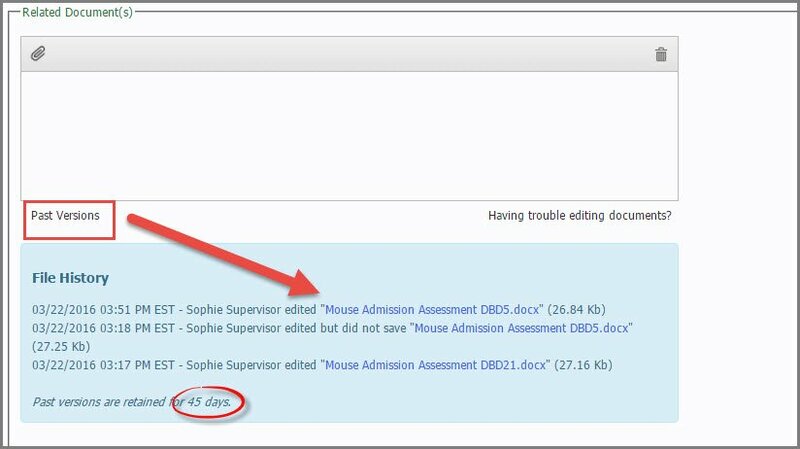 extendedReach retains changes to files and even deleted files for approximately 45 days. This also includes items that you may have edited in Word on your computer, but not uploaded to extendedReach. Step 4. If you find a Past Version that contains the changes you want, download it to your desktop by right-clicking on it and selecting the “Save Link As” option. Then skip to Step 9. Step 5. If you don’t find a past version of the file, make sure you check all other Activities or Reports of the same type (if there are multiple) to ensure it wasn’t attached there. (For instance, if there are multiple Monthly Reports check the prior Monthly Report). If you find it in a prior version then, download it to your desktop. Then skip to Step 9. Step 6. If your document was not in this list, it may be on the computer you used to edit the file. To determine where to look for the file, click on “My Preferences”. Within “Other Options”, your Download Folder will show either “My Documents” or “System Temporary”. If your Download Folder is “My Documents, then you will open the “My Documents\extendedReach” folder on the computer used to last edit the file. If your document is located there, skip to Step 9. If your Download Folder is “System Temporary”, then on the computer used to last edit the file, type in the windows search bar: %TEMP%. Look for look for a folder called “extendedReach”. If your document is located there, skip to Step 9. Step 7. If you still can’t find your file, it is possible you saved your document with the “Save As” menu in Microsoft Word instead of just clicking Save. You can either use Windows search engine to find it by name, or try to determine/recall the location of your computer’s “Save-As” files. If you found it skip to Step 9. Step 8. If you still can’t find your file, stop here and Contact Support. (No need to proceed to the next step). Step 10. If there is an older version of the document already saved on the activity or report screen, select it and click the trash can icon. For more instruction on Deleting Files, see Related Topics. You may decide to delete old versions before loading new versions, to keep yourself organized. Step 11. SAVE to extendedReach. 1. “Save” versus “Save As” feature in MS Word. Only click “Save” and close the MS Word document when you are finished editing; never use “Save As” feature in MS Word. 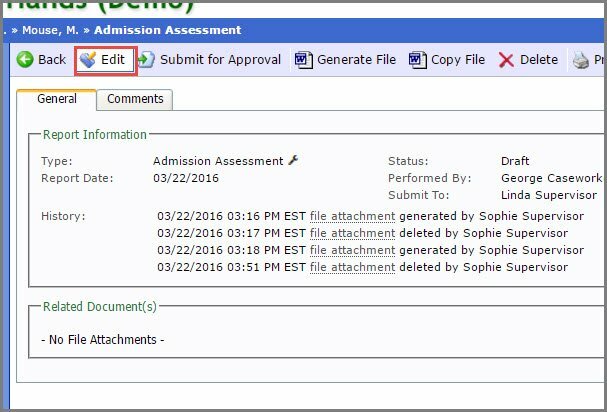 The extendedReach Plug-In monitors changes through a temporary copy of the file being edited in the user’s documents\extendedReach folder. If a user saves the document in a different location, extendedReach will loose track of the changes. The document will only be saved in the location that the user selected. 2. Navigating from the report in extendedReach, while editing it in MS Word. Keep the document open in your web browser while you are editing it in MS Word. If you need to lookup information in extendedReach, open a new browser tab. Within this concept, it’s important the network connection stays up during edits. Closing your laptop during editing, or internet connection drops could lose your edits. 3. Always Save changes in extendedReach. Once you save and close the document in MS Word, you still need to click “Save” in extendedReach. Otherwise, extendedReach will assume you did not want to keep the latest changes. For a full video and written documentation on working with Microsoft Word Documents, please see Editing Word Documents with the extendedReach Plug-In in Related Topics.